Upcoming events, changes to the practice or interesting health related news articles will be posted here. If you would like to see any of the practice newsletters that we have published please click here. There is also a live news feed from the health pages of the BBC on the right, click on any story that interests you for further information. August 31st, 2018 by Dr Wheeler. We know some patient’s still value having medication dropped off / the ability to make routine appointments on the West side. We have however noticed that patient numbers in the clinic have fallen significantly in the past 6 months. 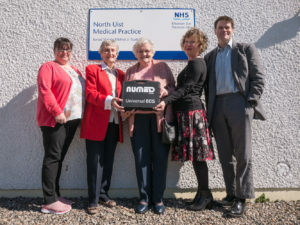 The new proposal is that the Bayhead clinic will happen once a month instead of fortnightly – this will still allow adequate provision for repeat prescriptions, and allow patients wanting to make routine reviews of chronic conditions/ medication checks a chance to see a doctor without travelling to Lochmaddy. From October we plan to hold the clinic on the first Thursday of every month. Feedback welcomed by phone / email or in person. August 30th, 2018 by Dr Wheeler. Great to have the 3 doctors in North Uist all doing the 13 mile race from Berneray to Lochmaddy last weekend. June 6th, 2018 by Dr Wheeler. There have been some issues with patients trying to get online access to prescriptions and appointments as ‘EMIS Access’ has changed their website. You can still go to the same link as before – but you will need to sign up online to the new service. On this page you need to enter the user ID / practice ID etc that you were given when you initially signed up. If you don’t have this info then please ask at reception and we will generate a new one for you. Once you register you will see the new improved web site – it makes it very clear what medication you are on / what appointments are available. Thank you to the Eabhal club. May 4th, 2017 by Dr Wheeler. 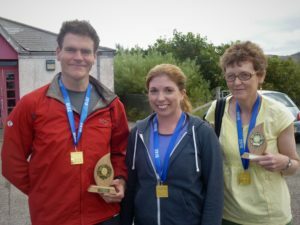 A big thank you to the Eabhal club members who generously offered to help fund a new ECG machine for North Uist medical practice. 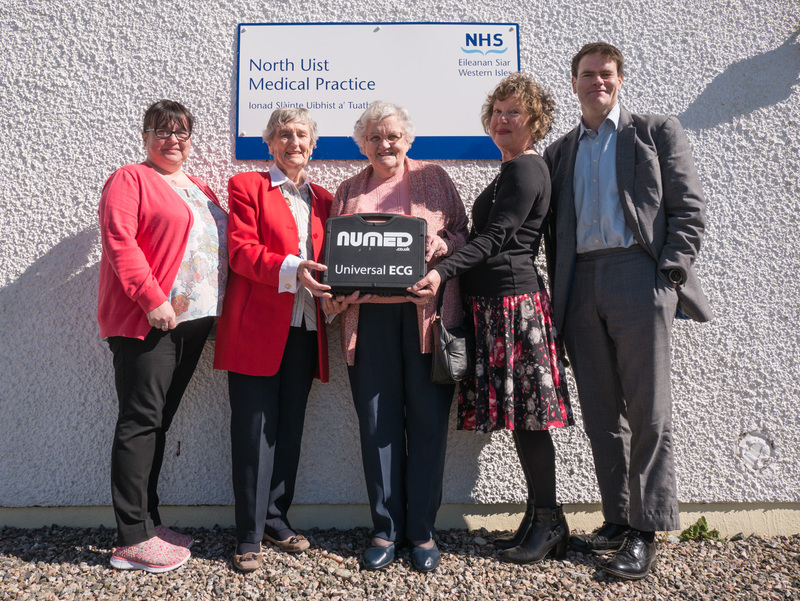 Three representatives from the local charity came to the practice today to formally hand over the upgraded device which helps diagnose a range of heart related issues. It is a big improvement on our old machine – and should hopefully serve the people of Uist well for many years to come. If you, or anyone close to you has been touched by cancer then please get in touch with the club directly or through the practice – either to look for support or to help with fundraising efforts. More Million miles for Ellie activity. March 22nd, 2017 by Dr Wheeler. I have just uploaded a video that I took at the ‘Million miles for Ellie’ assault course that the Macdonald family organised for the end of last year.